We work to ensure all of our patients can enjoy strong oral health, but the truth is it doesn’t matter how healthy your teeth are if you are not completely satisfied with the way your smile looks. People with cosmetic flaws often still feel like something is missing — and it is. By visiting your cosmetic dentist in Colorado Springs, you can have chips, cracks, gaps, stains, and all manner of imperfections corrected to help you show off your best grin! There’s never been a better time to make moves to improve the appearance of your smile than right now. Learn how Dr. Anderson transforms smiles for the better with cosmetic dentistry in this week’s blog post! One of the most popular options in cosmetic dentistry is without a doubt professional teeth whitening. Most adults will notice their teeth discoloring over time, as repeated exposure to highly pigmented foods and beverages and the natural aging process cause stains to seep beneath the surface. 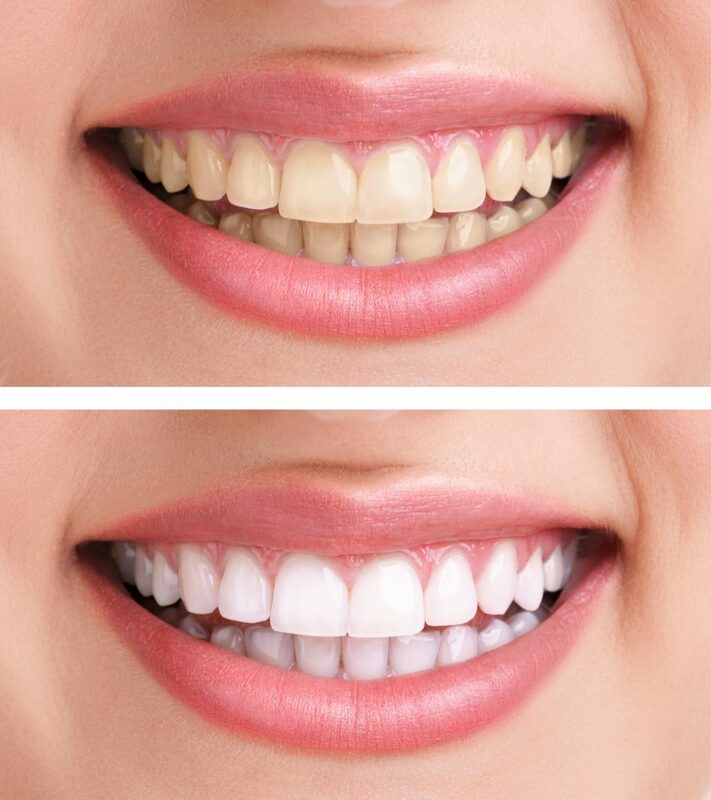 A quick professional teeth whitening treatment works wonders without a big investment in time or finances on your end. We offer in-office and take-home whitening to help you brighten at the pace that works best for you. If you need more help than a whitening treatment can provide, porcelain veneers could be the ideal solution. This treatment transforms smiles by simply covering up imperfections. Thin coverings of porcelain are securely affixed to the front surface of each tooth. Veneers look, feel, and function just like your natural teeth — but better. Porcelain veneers are completed over the course of just two visits to Anderson Family Dental, and they can last for many years with proper maintenance. For those seemingly minor issues that can take away from your smile in a big way, cosmetic dental bonding is noninvasive, fast, and more affordable than porcelain veneers. Your dentist applies the same material used in tooth-colored fillings to resculpt a damaged tooth. Dental bonding is completed in just one visit to our office. Tooth replacement at Anderson Family Dental provides a sturdy, long lasting solution for patients who are dealing with any number of missing teeth. Dentures replace many missing teeth, while a crown and bridge can fill the gap left by one or several lost teeth. You and your dentist will fully discuss your options in tooth replacement. If the tooth is damaged but salvageable, a porcelain crown can come to the rescue. We restore the size, shape, and appearance of damaged teeth in a single appointment with CEREC technology. One visit crowns are made of natural-looking porcelain, which makes CEREC a wonderful solution for teeth in the front of the smile. Are you interested in transforming your smile with top-quality cosmetic dentistry? Your dentist in Colorado Springs is ready for your case. Please don’t hesitate to contact Anderson Family Dental — you can even request an appointment online for maximum convenience! We can’t wait to help you smile with total confidence.